By Mike Torpey on 2012-11-16 - Driving Force news editor and responsible for organising our daily output. He was staff motoring editor of the Liverpool Echo for 20 years. 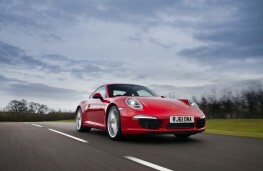 IF asked to name the definitive modern sports car, you can bet the majority of those in the know would pick the Porsche 911. Iconic, of course; of outstanding merit, most definitely; but perhaps most important for a 178mph supercar - and that's in its most basic form - the 911 is a car you can use every day, all the time. And if that last claim may sound a little far fetched, believe me, it's not. In fact it's more relevant than ever. 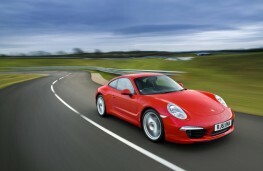 The magic number so far as this latest 911, only the fourth completely new model since 1963, is concerned is 100. 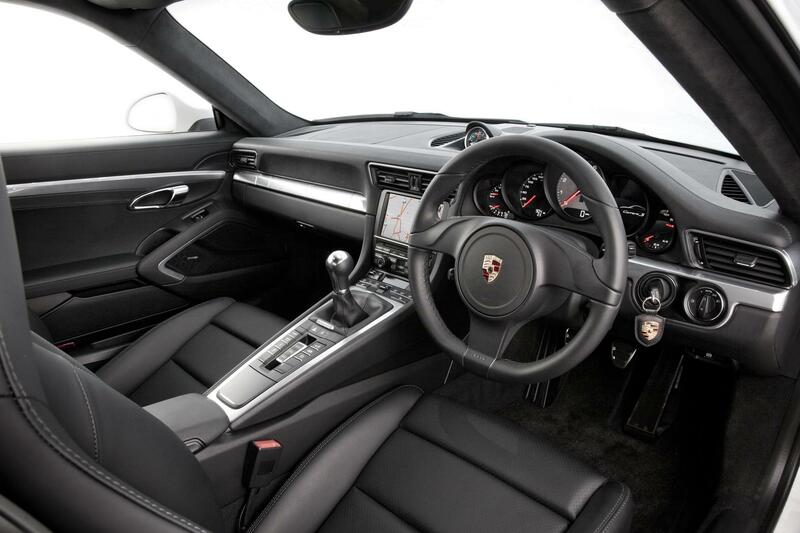 That's the length in millimetres by which the new generation 911's wheelbase has been increased, and while stability has been improved, of greater significance is the extra interior space. 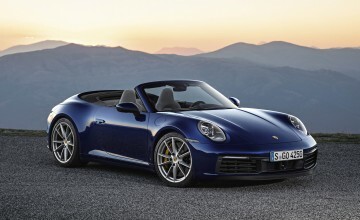 It means that Porsche fans who may have been tempted by the two-seat Boxster - and the new models really are exceptional - but need to include kids in their travel plans, can do so without the need for a second car. Putting the theory to the test, I transported three children aged between 10 and 16, with their bags and sports kits, to school every day for a week - and survived. So too did the car, though one of the older, taller kids got progressively fed up with crouching in the back due to the minimal headroom. Otherwise the only real criticism you can hurl at the 911 is that on pitted, uneven urban roads you really feel the firm suspension. Performance-wise the 911 provides a blend of snarling power and limpet-like handling while the lower roof line and a wider front track give the car greater road presence than ever. 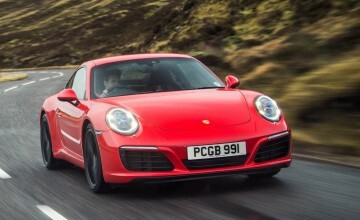 Beneath the rear bonnet is a new 3.4-litre flat six petrol engine producing 350bhp while its Carrera S stablemate features a 400bhp version of Porsche's 3.8-litre unit. 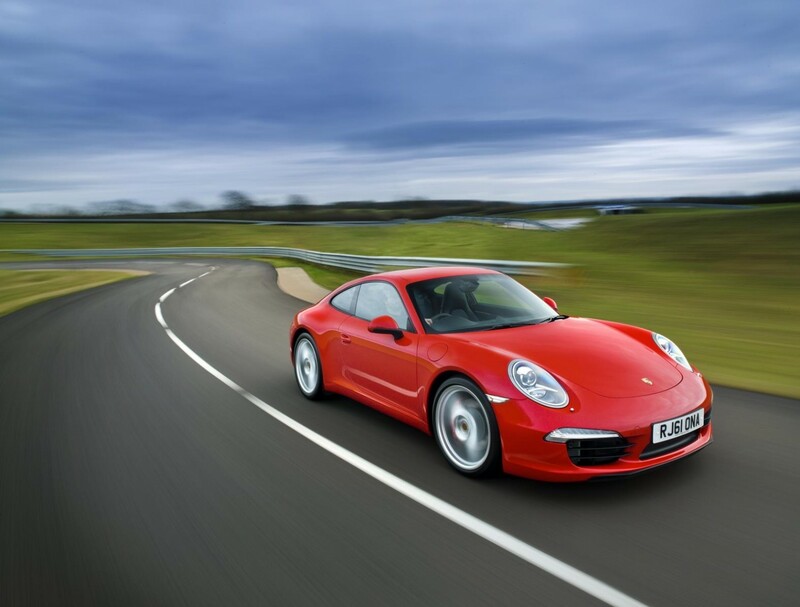 Mated to the German manufacturer's seven-speed Doppelkupplungsgetreib - or PDK - double clutch gearbox with its seamless operation the base Carrera model can accelerate from 0-62mph in 4.6 seconds. Ease off on the throttle a bit and you should be able to return an average around the 30mpg mark, though the official figure is 34.4. Of course there are lots of extra cost options ranging from cheaper items like automatic dimming rear view mirrors at £373 to a BOSE audio upgrade at £963, but the one compelling addition is the Sports exhaust system at £1,772. 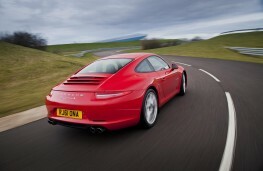 It adds an extra couple of tailpipes and the most fabulous deep-throated roar at the press of a button. 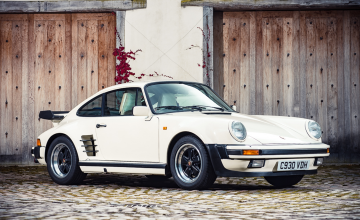 Then it's a case of get out on the road and enjoy what's a nippy, grippy yet comfortable and elegant sports car that's become a classic in its own lifetime.